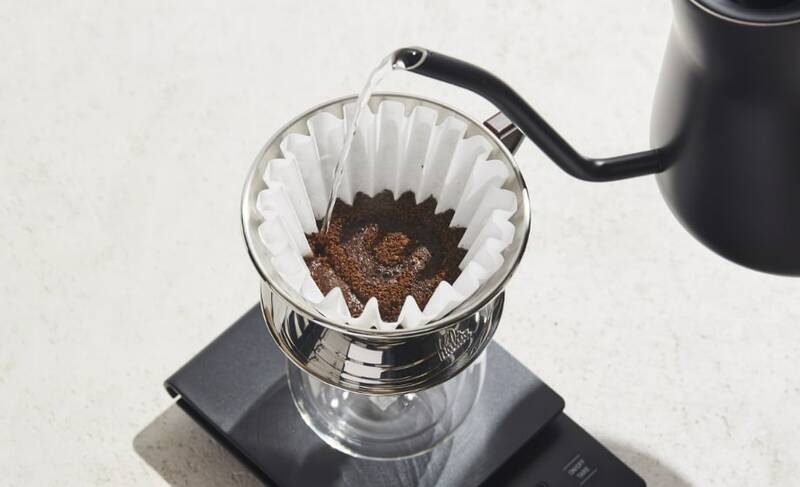 Pour over can sound complicated but the process is surprisingly simple and the results can be amazing with just a little practice. 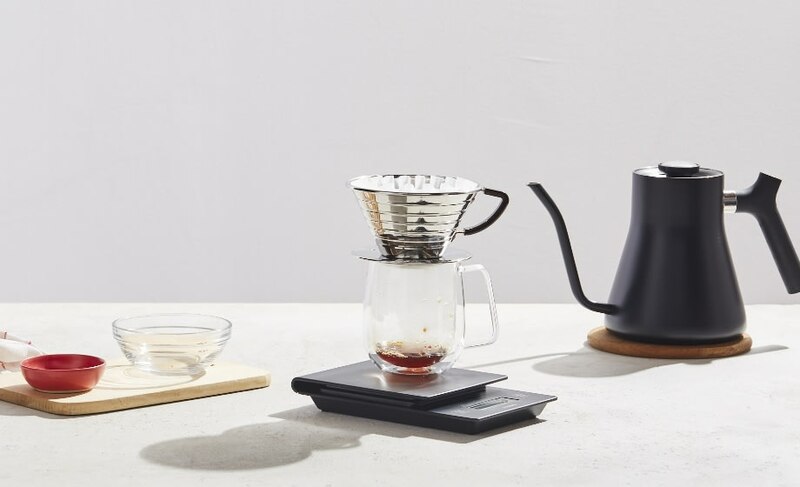 If you drink a single cup each morning, or want to try two different coffees, making a pour-over can be even easier than setting up your coffee maker (bonus—cleanup takes seconds). 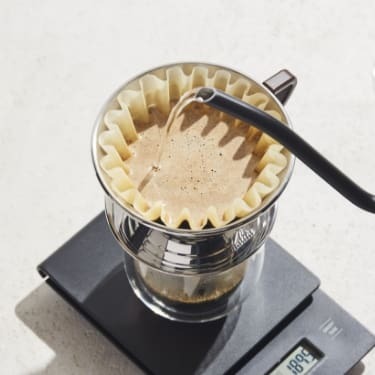 Because you’re in control of factors like water temperature and brew time, you can expect amazing flavors in the finished cup. 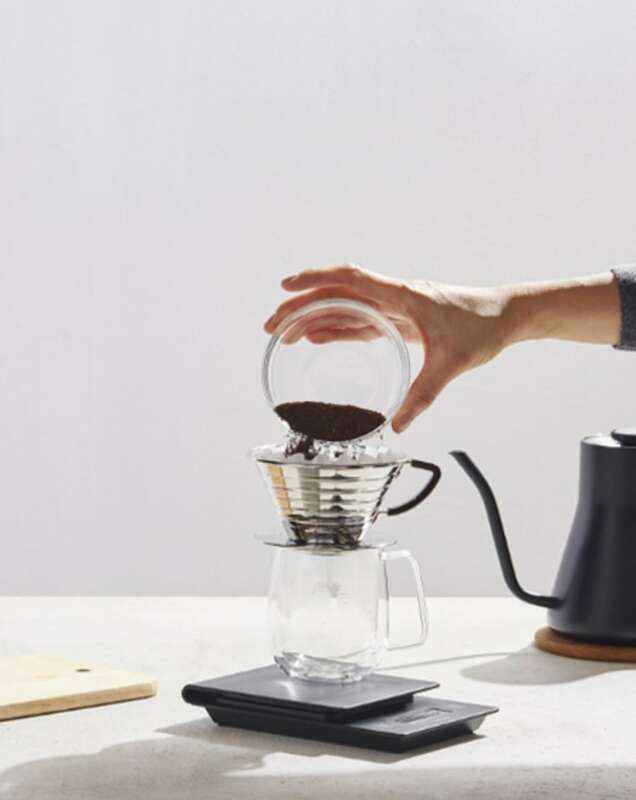 Add a filter to the brewer and place it on top of your mug. 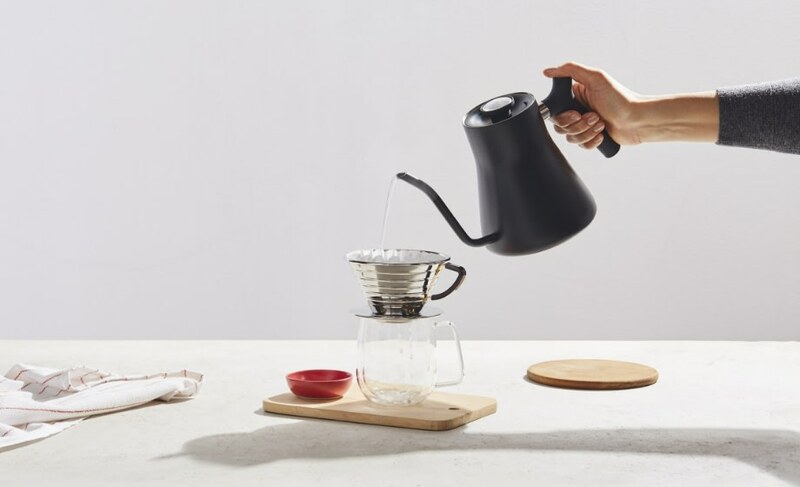 Rinse filter with hot water to remove any papery flavors and pre-heat both your mug and brewer. Discard this water before proceeding. 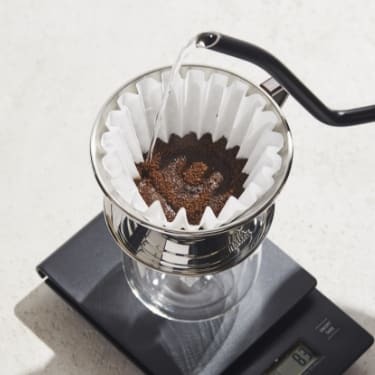 Set your mug and brewer on top of your scale (if using) and add coffee grounds to the filter. 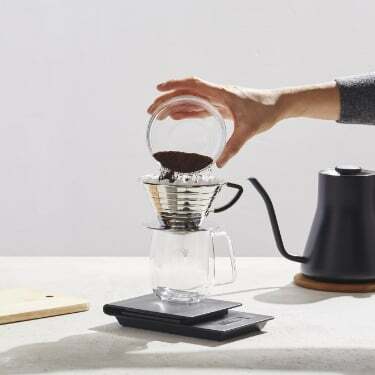 Give your brewer a quick shake to level the coffee grounds; this will help you get even extraction and the smoothest taste. Tare (zero out) scale. 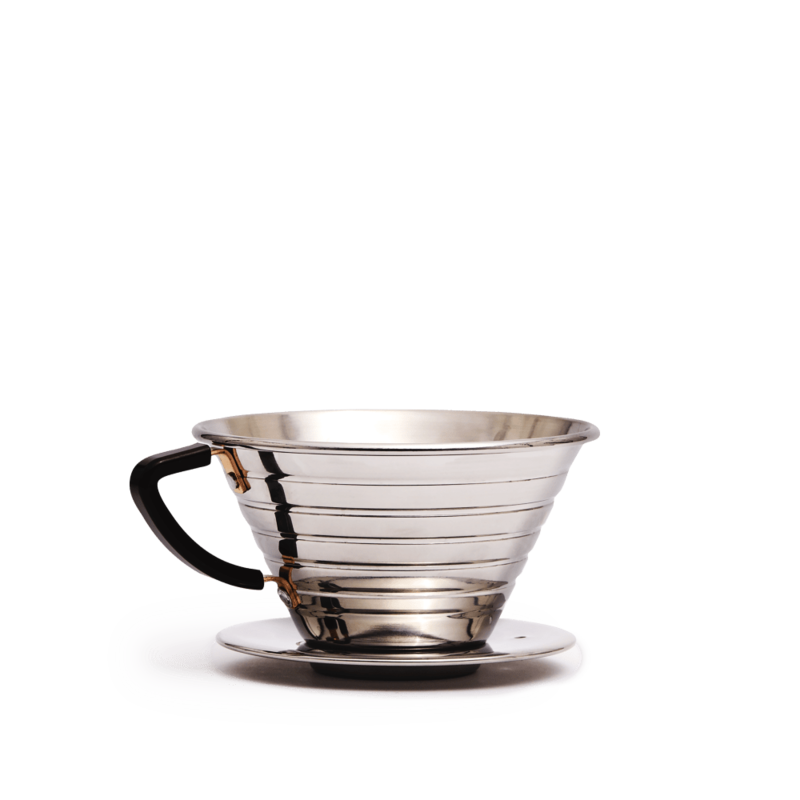 Start a timer and slowly pour water equalling about double the amount of the coffee (about 2 oz / 60 g). Make sure to cover all the grounds with water, pouring over the lighter spots and avoiding the darker ones. Wait :30 seconds. 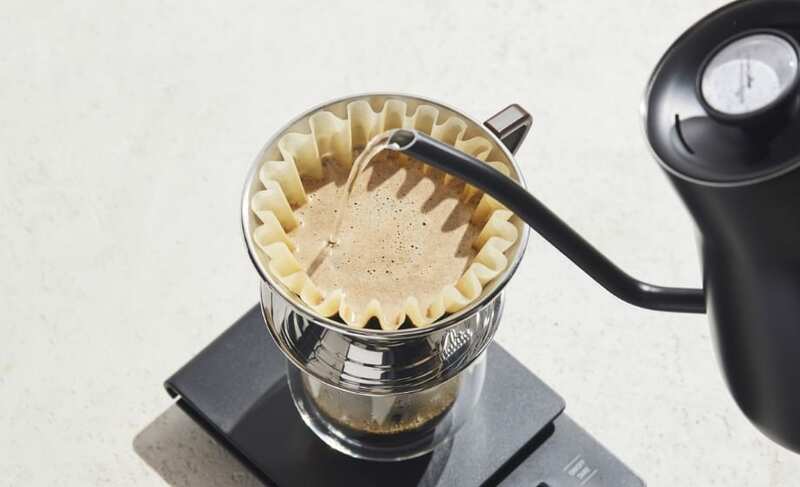 This important step is called the “bloom” and it will help your coffee develop more flavor and depth. Start pouring in a slow circular motion until you’ve used your full amount of water. 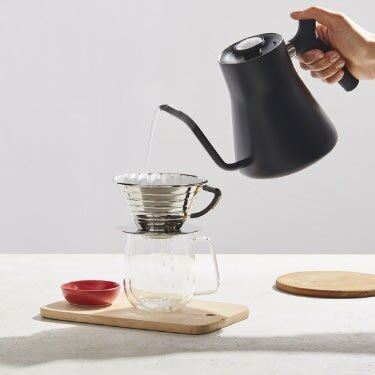 If the water level starts to come close to the top of your brewer while pouring, slow down your pour or allow for a brief pause to avoid an overflow. 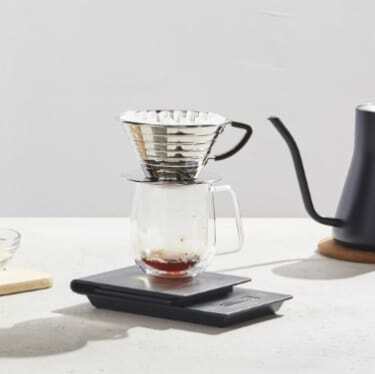 Keep an eye on the water level as it drips and when you start to see the coffee grounds appear, remove the brewer from your mug/server and place it in the sink or on another cup to drain (the last few drops of water can be a little bitter). 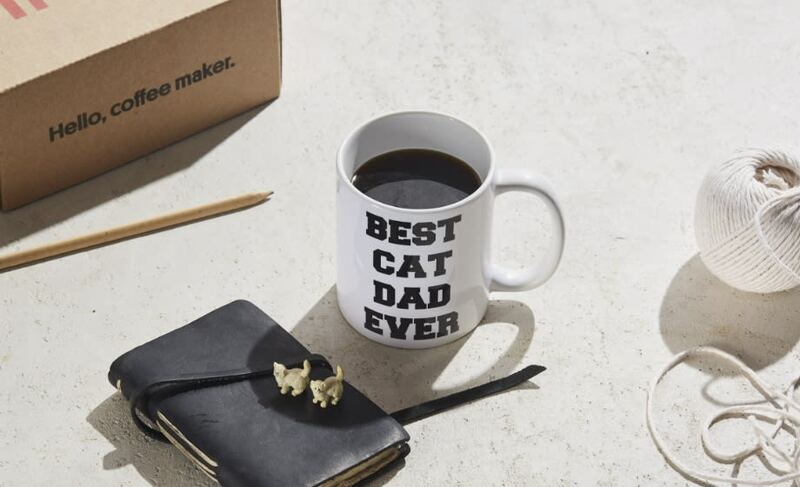 The timer should read between 2:30–3:00 minutes. 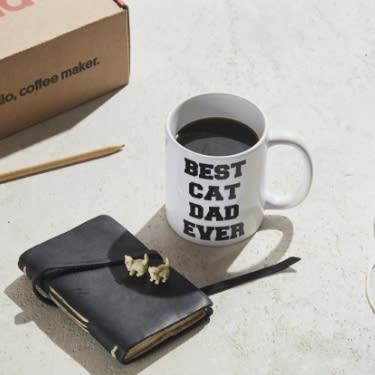 Enjoy your hand-crafted coffee right from your mug! 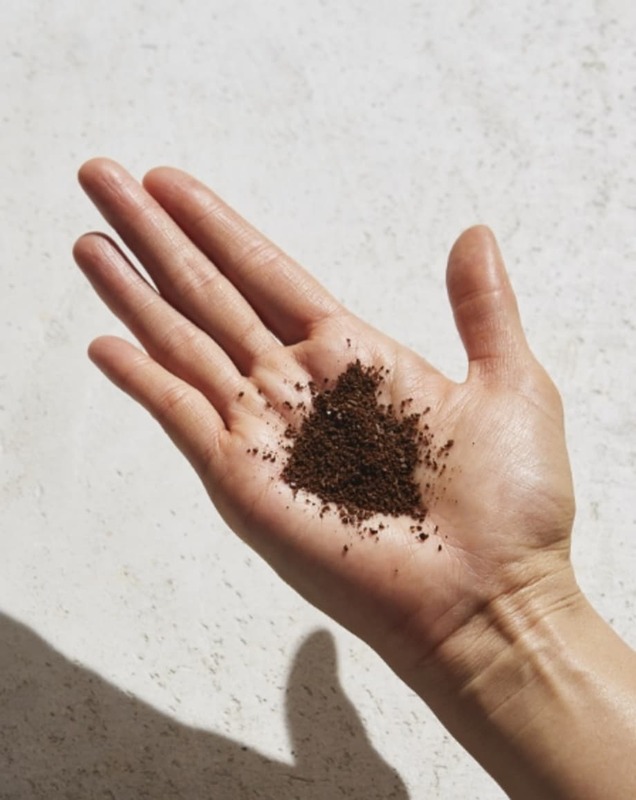 To clean up, discard or compost your grinds and rinse the brewer with any still-hot water remaining in your kettle. 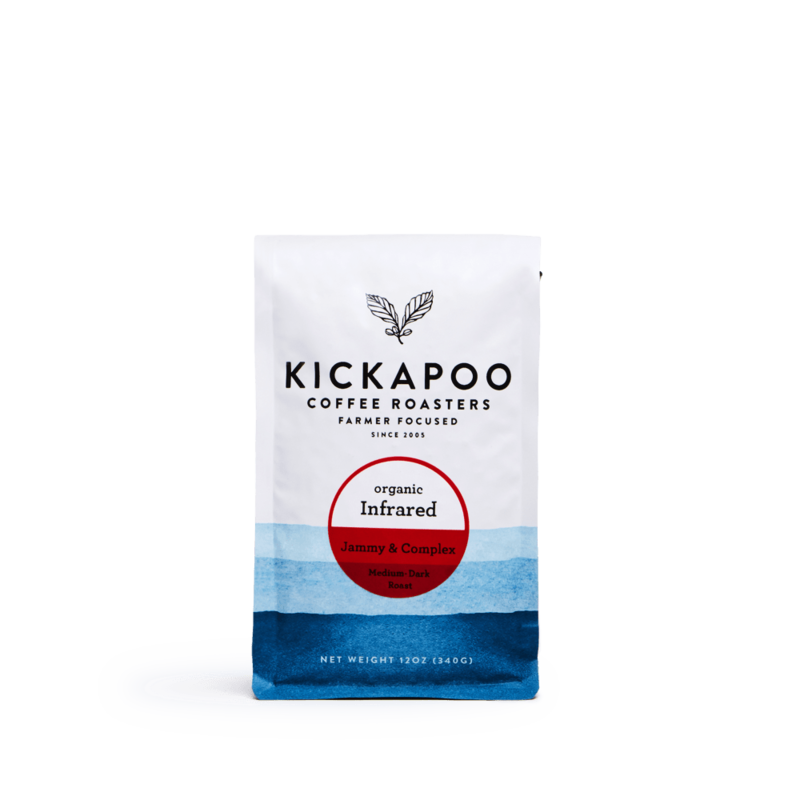 When fruit finds its way into a traditional blend.